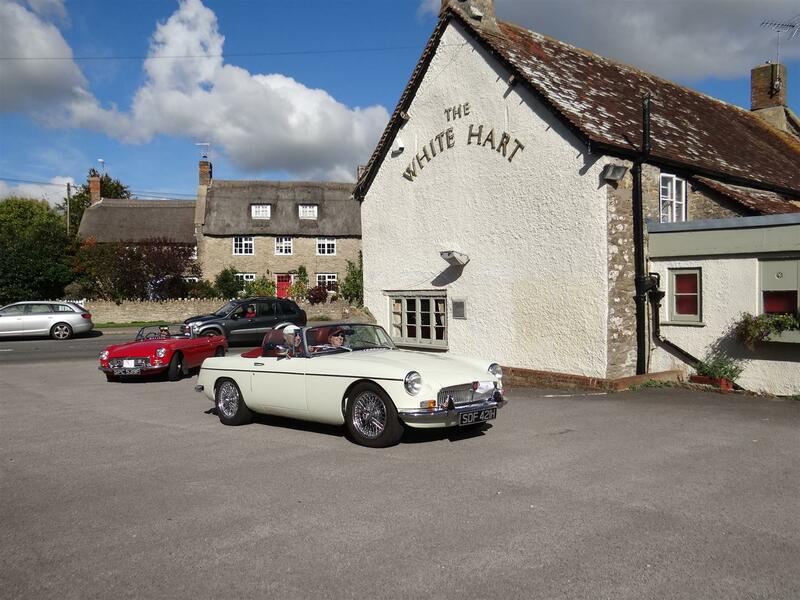 35 cars were booked in for this run, starting from the Hamworthy Sports Club we followed a 30 mile route through Dorset lanes to our lunch venue at the White Hart pub in Bishops Caundle. We were very well received and enjoyed an excellent lunch. After lunch the second section of the run, 35 miles returned us to the end of the route, however a group of members took the opportunity to divert from the planned route and visit the Barn Cafe at Lytchett for afternoon tea and cakes. Our thanks go to Dave Bailey and George Parrott for planning this run for us.